Avant means "before" in terms of time or a sequence of events. It can be used with expressions of time, nouns, and stressed pronouns. Avant can also be used with verbs. 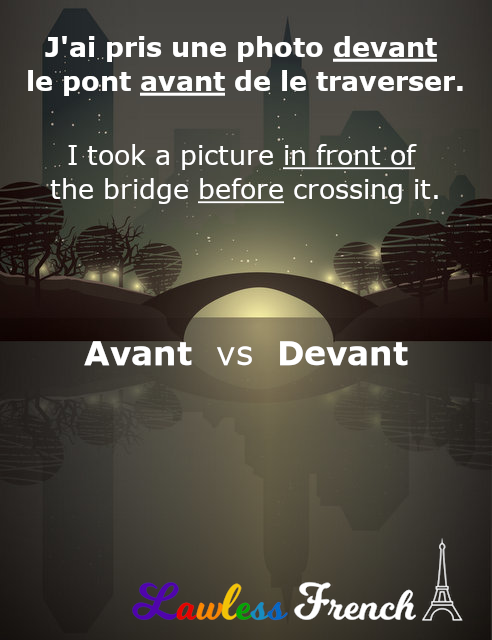 Devant means "in front of" and indicates a position or location, whether literal or figurative. It’s used only with nouns and stressed pronouns. Je veux m’asseoir devant toi. I want to sit in front you.